How important is space in your house? Pretty vital, right? In that case, it’d be correct to say that should your house be a bit tight in terms of legroom, you’d welcome new ways in which to increase your home’s space, right? Professional designers HILOFT from Penzberg, Germany, know all too well how stressful (not to mention irritating) a small amount of legroom inside a house can be, which is why they’ve opted for one of the most ingenious inventions to hit the architectural world since sliding doors: container homes. Who knew that an old and used shipping container could one day be reborn into a room for a house? Or by combining a few containers, you can even conjure up a brand new home altogether. 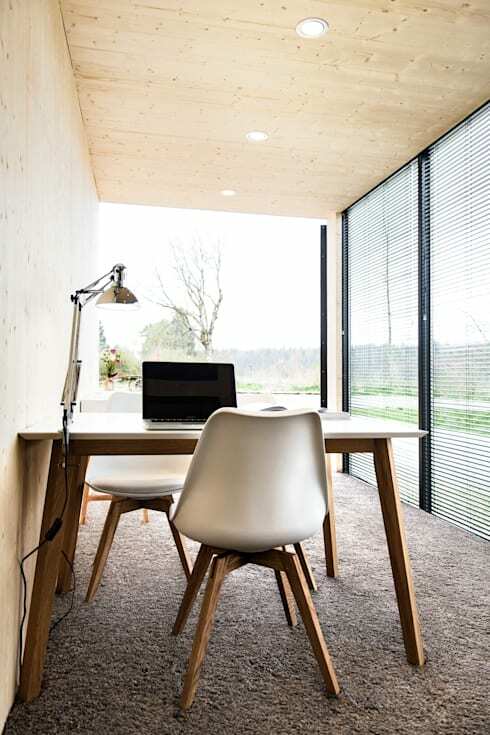 Let’s take a look at how one simple container is used to not only add extra space to a house, but also performs the function of a home office. Depending on the company, the style and the requirements of the client, shipping containers can be transformed into just about any look imaginable. This particular one opted for a sleek and slim style by having its exterior surfaces painted black, yet retained a touch of illumination via its steel handles. But that’s just from the front view—on the sides it’s an entirely different story. 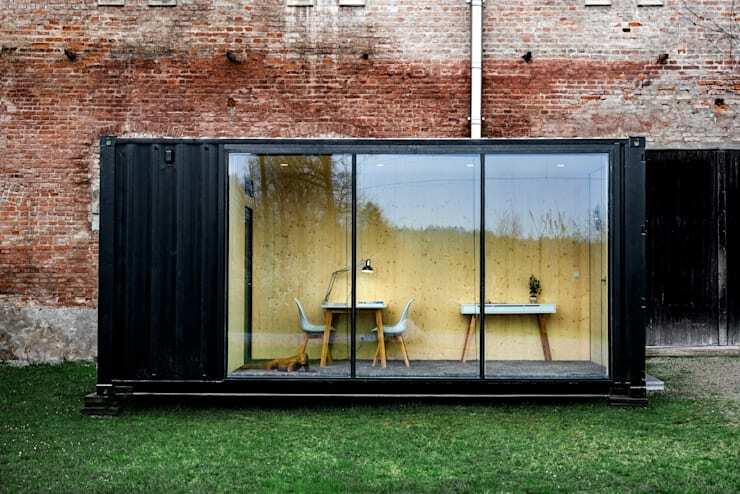 Adding a shipping container to your house to conjure up a new room means you’ll probably want to insert a window, right? Well, how about we skip the window and opt for a full-on glazed surface in the form of a sliding door, as shown here? Not only does this allow the exterior view to come flooding inside, it also lights up the container’s interior space with batches of natural light. Interior designers, electricians and many more – we have them all here on homify. See our professionals page for more info. Of course nobody’s forcing you to add a container structure to your house – for one thing, it will never blend in 100% with the existing house’s look (although that is a design touch that a lot of people desire). 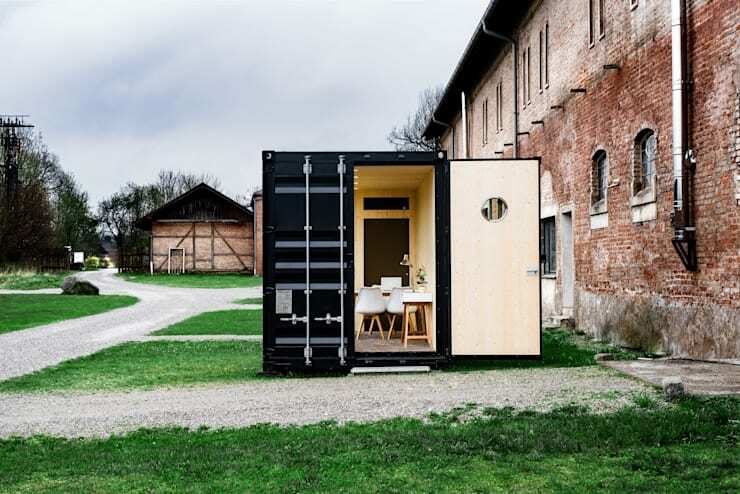 So, how about placing that container in the garden or lawn and letting it perform the duties of a free-standing space, such as an art studio, play room for the little ones, a guest bedroom, an exterior office… ? What other functions can you use it for? Seeing as a bunch of natural light comes seeping inside, the designers decided to make the most of it by opting for pale tones and relevant materials to help the light bounce from surface to surface. 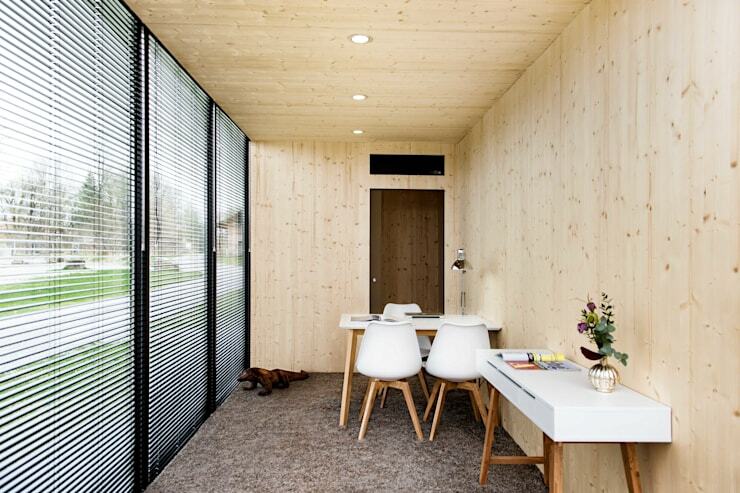 Plus, nobody can deny the super modern appeal of the light-hued timber that adorns the container from floor to ceiling – a very minimalist/Scandinavian touch! Once the interiors have been clad with the right materials, it’s really only a matter of time before it can function as a room all on its own. A carpet here, a chair and table there, adequate (artificial) lighting fixtures and some décor pieces to make it look homey, et voilà! 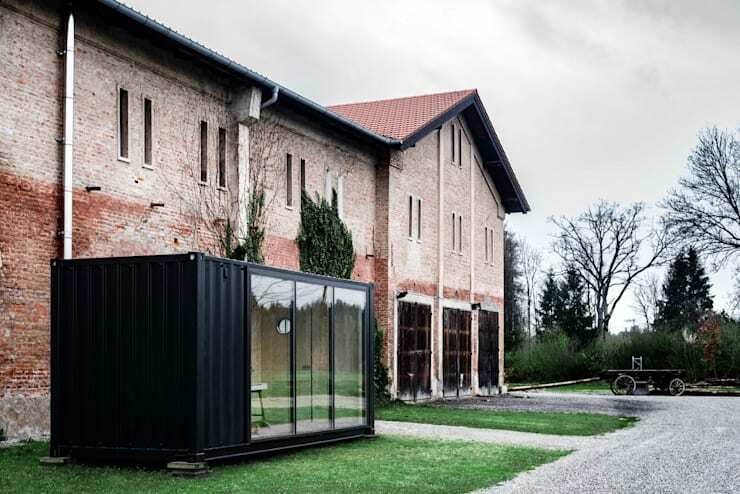 See these 7 container homes built for next to no money. What are your thoughts on using shipping containers as rooms or houses?